Visuals: templated packaging. Body is bright, brilliant, and pale, staying white head, interesting lace. Taste: starts with corn and barley, grassy, middle is water, a little chemical, finish is slightly metallic. 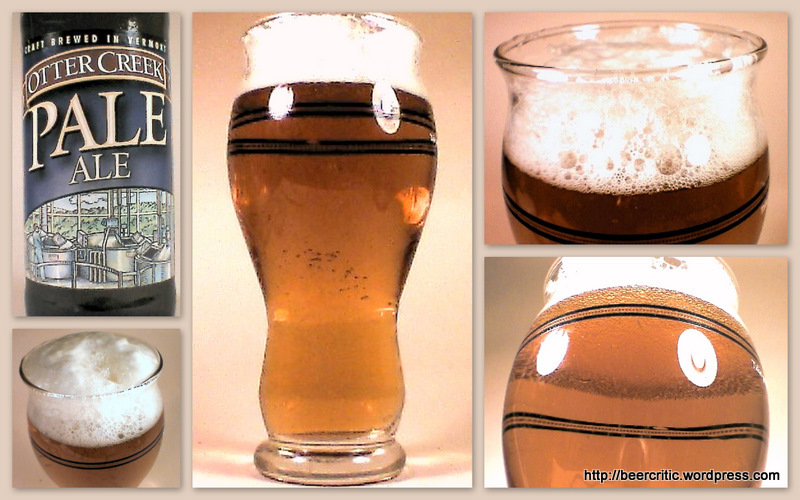 Palate: starts thin, middle rounds a bit in the mouth, quick drying effects towards the short slightly acetic finish. Overall: Not bad for the price, better than your average macro, but I would seek out something else next time, myself. After having moved back to New England from Chicago (good beer town), I can tell you that I am grateful for the Otter Creek now that I’m here. I have very fond memories of draft Otter Creek at the Skunk Hollow Tavern in VT, and find the thin/acid qualities you describe to be most appropriate to a humid, hot New England summer, when cast in more appealing terms. For me, the beer matches perfectly with spicy seafood (I particularly like the Philipino-style paprika shrimp with it), and I would put it foremost alongside a chili-laden, “bright”-flavored Indian meal, but I’d drink it with any outdoor seafood grilling. Thanks for the great blog, and I hope you’ll give this beer a try again in conjunction with a meal tinged with hot chilis!